According to rental site Zumper, median rents for a one-bedroom in Oakland are hovering around $2,099. But how does the low-end pricing on an Oakland rental look these days--and what might you get for your money? Listed at $1,450/month, this one-bedroom, one-bathroom, located at 1032 36th St., is 30.9 percent less than the median rent for a one bedroom in Oakland, which is currently estimated at around $2,099/month. 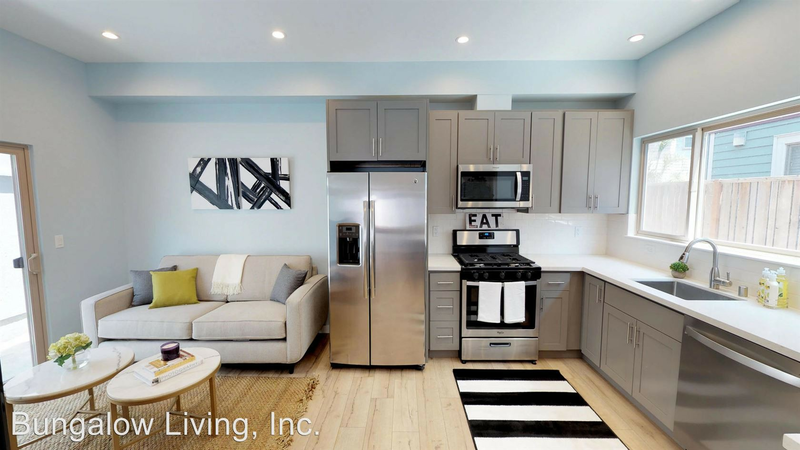 The unit, which comes furnished, features hardwood flooring, stainless steel appliances and high ceilings. Building amenities include a residents lounge and high speed internet. There's no leasing fee required for this rental. According to Walk Score's assessment, this location is very walkable, is great for biking and has excellent transit. Over at 2212 High St., #E, there's this 550-square-foot one-bedroom, one-bathroom apartment, going for $1,595/month. Building amenities include assigned parking. In the unit, expect tiled flooring, granite countertops, ceiling fans and wooden cabinetry. Pets are not allowed. Listed at $1,600/month, this 750-square-foot one-bedroom, one-bathroom rental is located at 1476 79th Ave., #2 in Arroyo Viejo. The apartment features in-unit laundry, a dishwasher, stainless steel appliances, granite countertops and plenty of natural light. A porch is included as a building amenity. Pet owners, take heed: cats and dogs are welcome. Future tenants needn't worry about a leasing fee. According to Walk Score's assessment, the surrounding area is somewhat walkable, has some bike infrastructure and offers many nearby public transportation options.